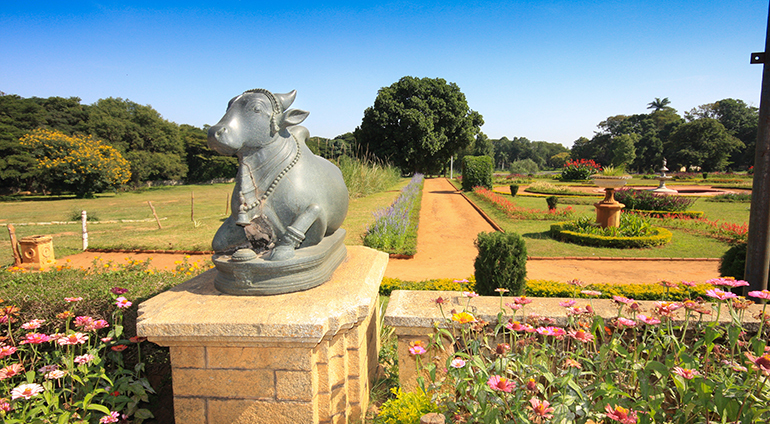 There are plenty of other interesting places to visit within easy reach of Bangalore. Around 100 km away in the Mandya district is Bheemeshwari, which sits among the Mekedatu, Gaganachukki and Barachukki waterfalls is a popular attraction. The area is also known for its great selection of wildlife and fishing facilities. Srirangapatna, which is found 125km away is famous for its Ranganathaswamy temple and is of great cultural, religious and historical significance, while the rich past, famous palaces and dramatic setting of Mysore (143 km), in the foothills of the Chamundi Hills, make it a regular destination for those visiting Bangalore.